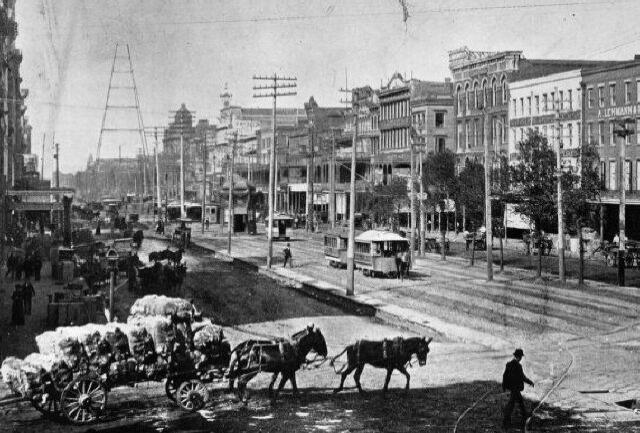 Street in 1895. With many thanks to Robert Gonzalez for sharing this photo. 'For Rent' sign on the building on the left is from Latter & Blum. Henry Clay statue when it stood on the neutral ground at the foot of Canal Street. 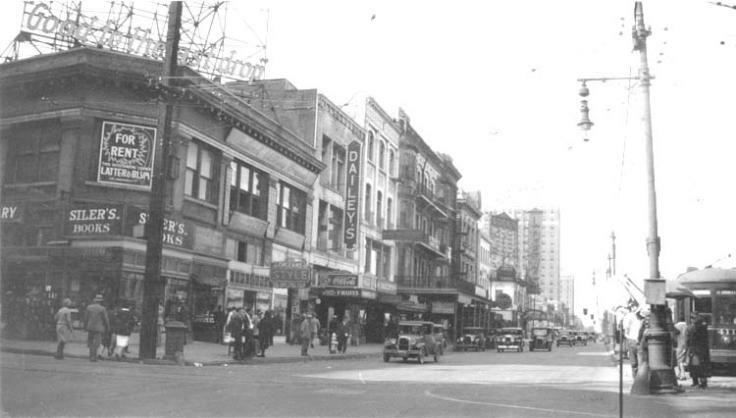 The clock, D. H. Holmes, Canal Street, 1960's. This is interesting because it shows a portion of the original D. H.
shows what the front of the building would've looked like at this time.